The Northern Mechanical/Plumbing Contractors Association works closely with its Union partners to ensure the strength of the workforce in the Northland. 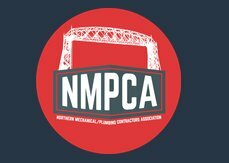 To see a list of our contractors in the Duluth/Superior area, visit our website at www.MinnesotaNMPCA.org. The Minnesota Mechanical Contractors Association works closely with its Union partners to ensure the strength of the workforce throughout Minnesota. To see a list of our contractors, visit our website at www.MinnesotaMCA.org.